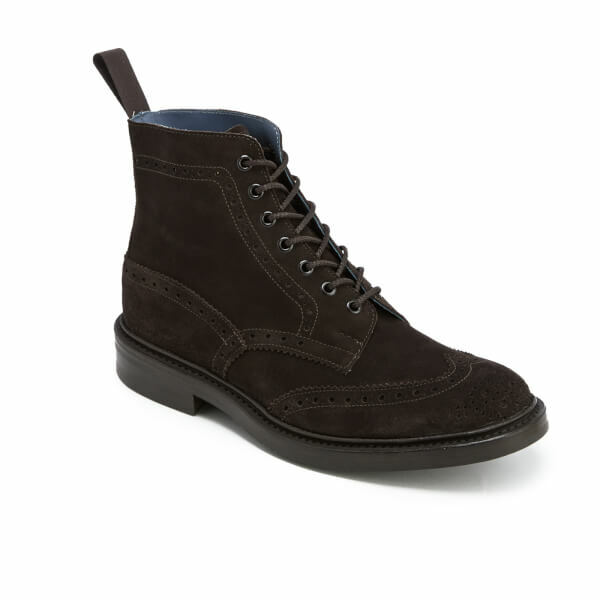 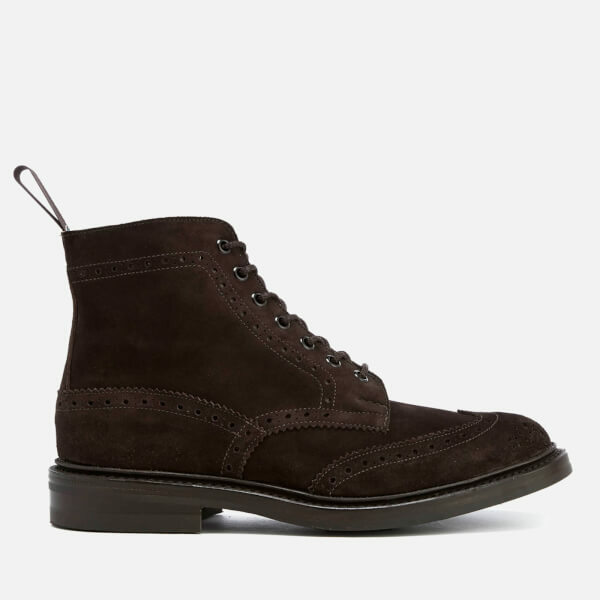 Men’s dark brown suede ‘Stow’ boots from a collaboration between Knutsford and the heritage footwear brand Tricker’s. 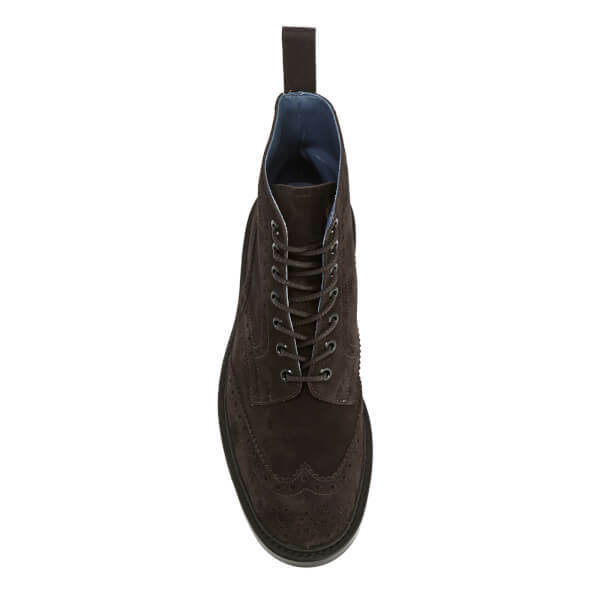 Crafted from premium suede, the Derby boots feature punched details, wingtip construction and a Derby lace-up fastening with seven metal eyelets. 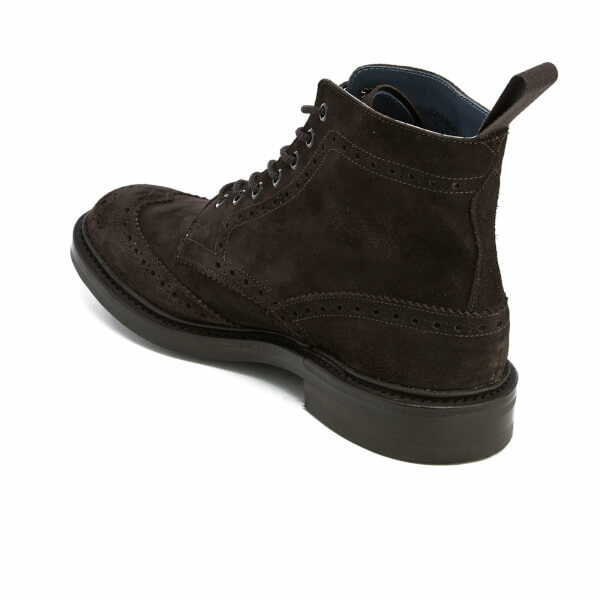 Set on a storm welt, the men’s boots have a small heel and a studded Dianite rubber sole for added traction. 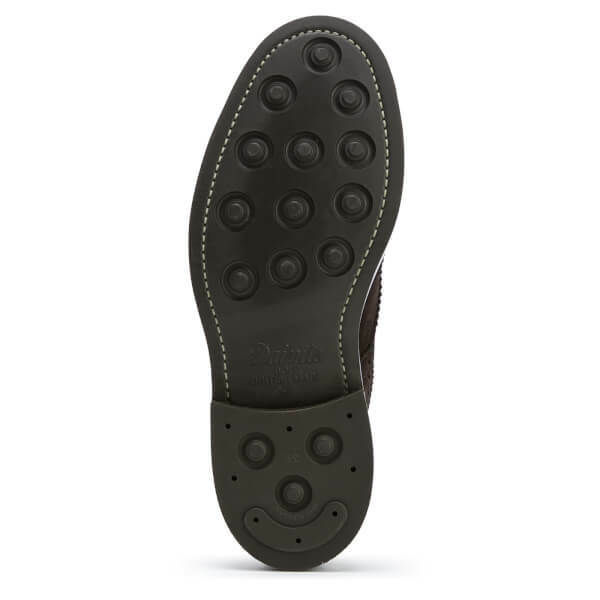 Complete with a half bellows tongue, a grosgrain heel pull tab and a blue leather lining with gold Knutsford by Tricker’s branding to the insole.